For guests making multiple bookings: Normally we will try to put you in the same room for your stay, but cant guarantee it. Book a private room to be sure to stay together! Take bus 119 to Nádraží Veleslavín, then change to Metro line A and travel 8 stops to Náměstí Míru. Alight here and look for the exit marked “Korunní třída”, walk up the stairs and straight ahead. Take the 3rd turning on your right (Budečská) then take the 1st turning on your left (Moravská). Post Hostel Prague is 20 metres away, we share our building with the Post Office the door is the first you come to on your left. Take Metro Line C one stop to Muzeum then Metro Line A one stop to Náměstí Míru. Alight here and look for the exit marked “Korunní třída”, walk up the stairs and straight ahead. Take the 3rd turning on your right (Budečská) then take the 1st turning on your left (Moravská). Post Hostel Prague is 20 metres away, we share our building with the Post Office the door is the first you come to on your left. Take Metro Line C 2 stops to Muzeum then Metro Line A one stop to Náměstí Míru. Alight here and look for the exit marked “Korunní třída”, walk up the stairs and straight ahead. Take the 3rd turning on your right (Budečská) then take the 1st turning on your left (Moravská). Post Hostel Prague is 20 metres away, we share our building with the Post Office the door is the first you come to on your left. PAYMENT AND CANCELLATION POLICY New Year 2016: All bookings that includes the nights of 29.12, 30.12, 31.12 and 1.01, have a 4-nights minimum stay. We can and we will cancel bookings made for less than 4 nights. All bookings will be pre-charged for the entire amount of reservation to the same card which is used for booking. If the reservation cannot be pre-charged in full amount, it will be cancelled. Bookings for those dates can be cancelled free of charge at least 20 days before arrival. Cancellations and modifications will be accepted and they are not guaranteed. If cancelled later, hostel will charge the full cost of reservation. In case of no show hostel will charge cancellation fee of whole reservation and your reservation will be cancelled. 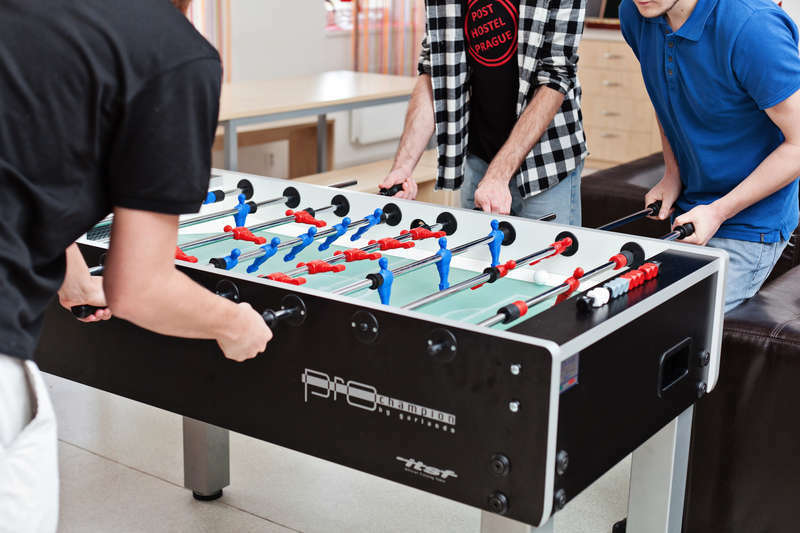 Post Hostel Prague Policies & Conditions: Cancellation policy: 48 hours before arrival. Check in from 15:00. Check out before 11:00. Payment upon arrival by cash. Taxes included. General: No curfew. Non-Smoking Hostel. Age restrictions 18-50 years. We also have a cute ginger cat! :) For guests making multiple bookings: We will try to put you in the same room for your stay, but cant guarantee it. Book a private room to be sure to stay together!